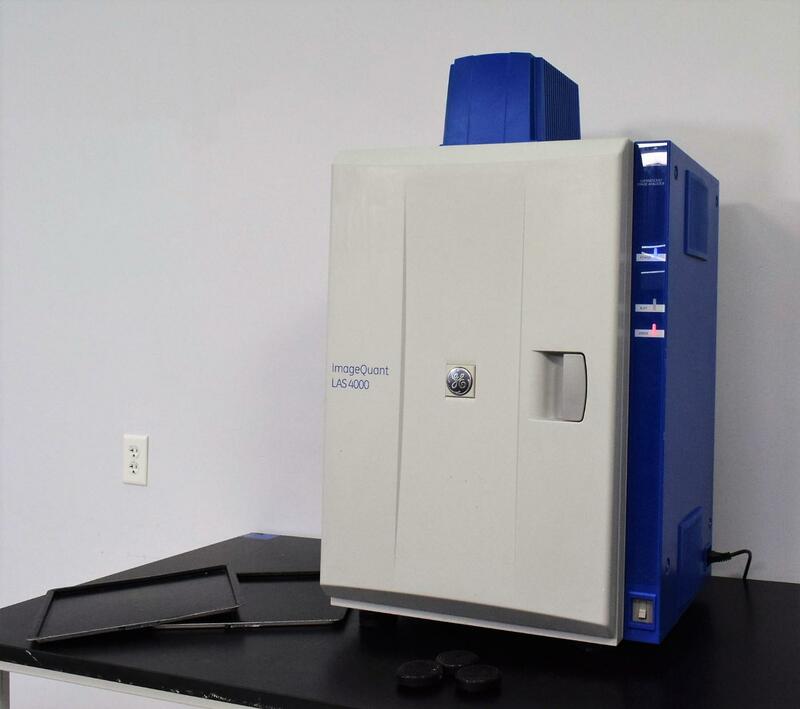 GE Healthcare ImageQuant LAS 4000 Luminescent Image Analyzer Biomolecular Fuji . New Life Scientific, Inc. The LAS 4000 captures both Chemiluminescent and Fluorescent images and has a maximum picture dimension of 2cm x 14cm. In its heyday, the LAS 4000 was approximately $30k to $40k new, and now the current imager for GE is still $20k. For the researcher that doesn't like burning cash for fun, purchasing a pre-owned previous-generation imager such as the LAS 4000 makes perfect sense. Because NLS doesn't have the software for this system, the end user will need to source the software for this. The initiation that the imager performs on start-up indicates that the stage, lens, and filter wheel are all functional. Our in-house technician inspected and tested this GE Healthcare ImageQuant LAS 4000 , confirming it to be functional. Technician tested the unit by powering it on and engaging the filter wheels. The "busy" light comes on when first initialized, but after the filter wheel comes to position and the lens change position the "busy" light goes out. When connected to a PC at this point it searches for the drivers. Since there is no software the testing was limited. Comes with leveling feet.